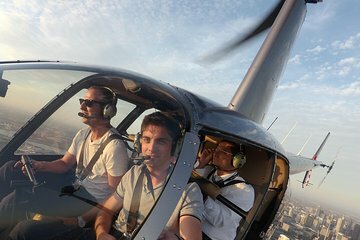 Profitez d’une autre perspective sur Melbourne et Port Phillip Bay pendant ce trajet de 25 minutes en hélicoptère avec un pilote professionnel qui vous indiquera les monuments sous vos pieds. Votre pilote suit la côte où vous pourrez apercevoir le Brighton Pier, Point Ormond, la longue plage de sable de St Kilda et les bateaux de croisière ancrés au Station Pier. Profitez d’une vue imprenable sur les gratte-ciels de la ville et de ses environs, y compris l’Albert Park, le Melbourne Cricket Ground (MCG), les Docklands et bien plus encore alors que vous vous envolez depuis l’aéroport Moorabbin au-dessus de cette ville photogénique, une présentation idéale de Melbourne. The helicopter trip was a fantastic way to start our visit to Melbourne. The views over Albert Park with the Grand Prix preps well under way were great as were the views of the city and Port Phillip Bay. Our pilot was very helpful, informative and very competent and the ground team were friendly and efficient. It was a wonderful experience. I would perhaps suggest a local map is added to the web site to make it easier to find the base / hanger. I would definitely do it again! Our visit to Melbourne and the surrounding area was just brilliant! 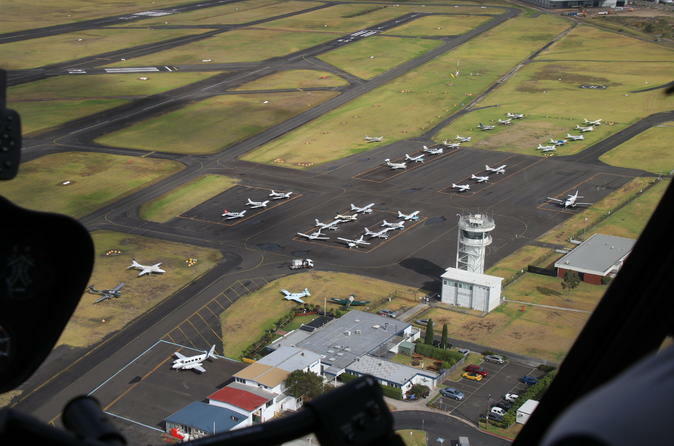 A great flight with spectacular views of Melbourne and the northern bayside beaches. Very highly recommended and looking forward to another flight. 25 minutes goes way too fast....will be back again in summer! Awesome time had by all......!